Sony kicked off its GDC 2014 talk entitled “Driving the Future of Innovation at Sony Computer Entertainment” this evening by announcing the not-so-secret VR headset: Project Morpheus. Yoshida was likely referring to a earlier report from Forbes which stated Sony had unveiled its Virtual Reality headset during GDC 2014. Not to mention all the rumors of the headset which have been circling the Internet ocean of over a year. After his opening statement, Yoshida discussed prior innovations at Sony such 3D graphics, CD-ROM tech, Remote Play, and a other PlayStation products. 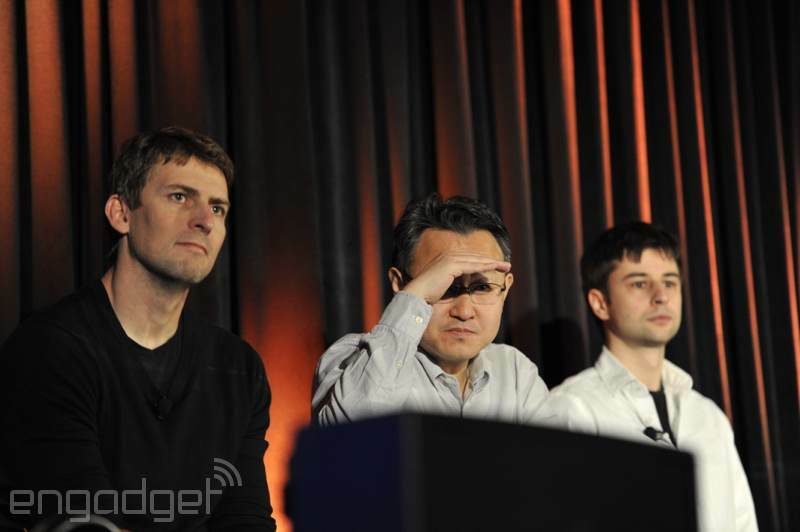 Wasting no time at all, he then announced the firm’s VR tech, which Yoshida said focused on immersive gaming. 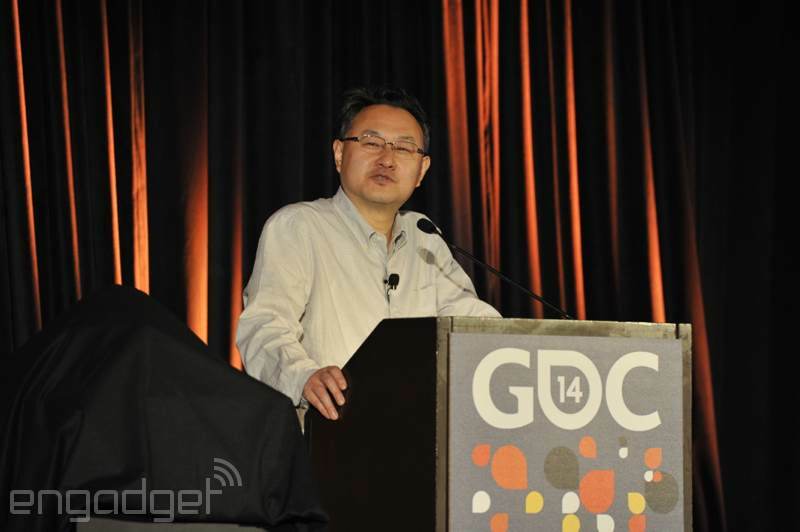 According to Yoshida, 3D and motion capture can take players to other levels, but VR takes things even further. Shots were shown on the stage screen of Yoshida wearing an early version of the tech from 2010 and 2011, while a HMD demo of God of War was played. This was Sony’s way of implying that it has been working on the tech for quite some time. Another demo shown using the tech was of the game Datura being played. 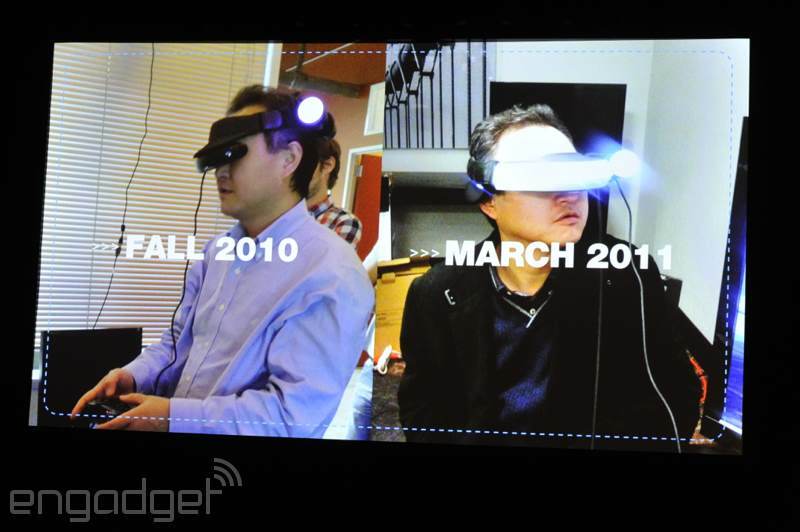 Various iterations of the headset were also shown, with one sporting a Move controller attached to the top. While this sounds odd, it still looked similar to a standard VR headset. 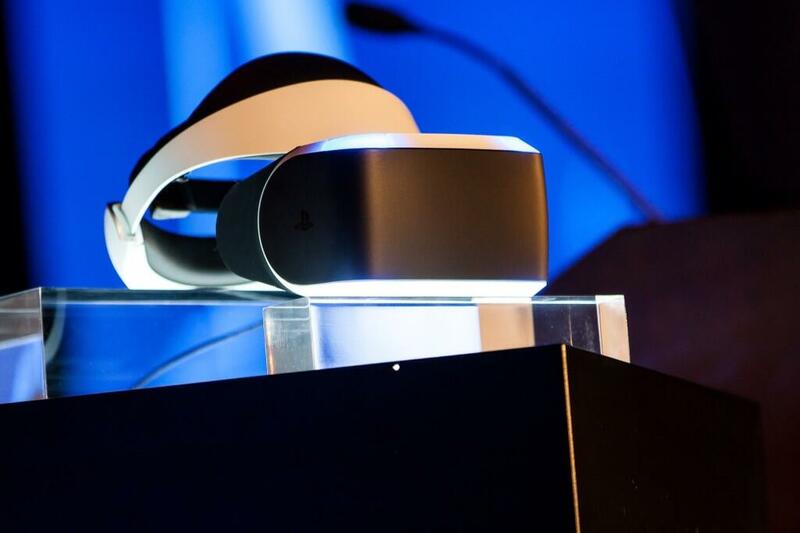 “Project Morpheus” is not a final product, but a work-in-progress, he said, and it will be available for GDC attendees to demo tomorrow, March 18. Yoshida said the headset will work with PlayStation Move, PS Eye and PS4 and the reason the firm chose GDC for the reveal, is that Sony wanted feedback from developers. Before exiting the stage, Yoshida said how much he respected Oculus Rift and how Oculus VR was an innovator in the sector. Richard Marks, senior director of Sony’s R&D, took the stage after Yoshida to discuss Project Morpheus and how he wants the tech to be “widely adopted”. 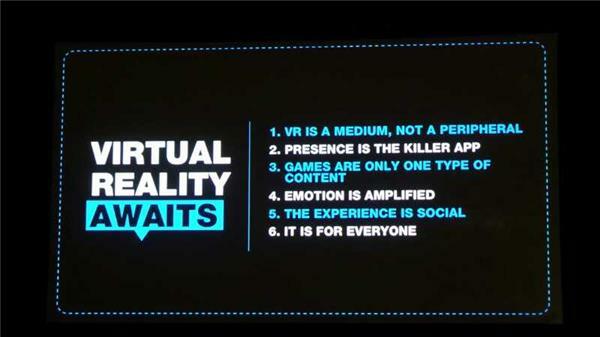 Marks said VR is disruptive and will be the “preferred medium” for many things going forward. He said he had even worked with NASA’s Jet Propulsion Laboratory to create a Mars demo using images captured from the Curiosity Rover. Potential for VR is “pervasive,” he said, but there are six main challenges when working with the tech: Sight, Sound, Tracking, Control, Ease of Use and Content. With sight, in order to achieve presence, hi-rez and a high framerate display is needed. Specialized optics are also a must, and Sony’s experience in that area should help matters. Sound is also very important with VR, Marks continued, as it’s important for things to sound identical to real world counterparts. Directionality of the sound is also important, and Sony’s developed new tech to help in that respect. Tracking, according to Marks, is the most important component in VR. Because of this, Sony is using the same tech included in PlayStation Move, only with higher rate sensors, and the PlayStation Camera. “We think the tracking will be one of the metrics that judges how good your VR is,” said Marks. Control is the biggest challenge by far, he said, but PS Move makes an excellent VR controller. The goal is for users to set the VR headset on their coffee tables, and then just slip it on and off at will. “We want it to be easy for people. It has to be plug and play, and comfortable,” Marks added. Content for the VR headset is also important, and Sony Worldwide will be developing more than a few projects; however, Sony wants a wide range of developers to create content for it, thus the aforementioned reason for a GDC reveal. “We want to make PlayStation the best place for VR – and not just for playing, but for developing,” he said. With this, Marks left the stage and was replaced by Anton Mikhailov, senior software engineer at Sony R&D. Mikhailov began his presentation by stating VR is a “medium, not a peripheral,” and games “are only one type of content”. “Head motion is law and presence trumps game design in VR. A lot of the rules from traditional games just don’t apply,” he said. Mikhailov said before VR can become hard to differentiate from reality, quite a few technological hurdles to overcome. One of these is full body tracking, which right now isn’t an option due to latency issues. Another problem tech teams face is arm position as there’s a depth conflict. Clipping and how it’s accommodated in the virtual world is another issue which needs to be overcome. “There are still a lot of game design challenges in VR we don’t have the answers too yet,” said Mikhailov. Presence, however, is the unique selling point for the tech, he said. To achieve it, latency has to be low and framerate needs to be high. Rendering images cleanly is really important in VR as is 3D audio. Input is also important, and driving games work really well due to the lack of abstraction when using a wheel compared to a gamepad. All said, VR has to be for everyone, and the hardware has to be comfortable, he said, and the content has to be varied enough and the experience needs to be shared via multiplayer online or locally. The present dev kit available is 1080p with a 90 degree field of vision, three meter working volume, 1000Hz tracking, and full 360 degrees rotation tracking. DualShock 4 and PS Move both work with the same camera, and the kit also has a true spatial sound system, synthesized by simulating the human ear – it can simulate 60 virtual speakers around the user. The headset is also described by Mikhailov as comfortable for prolonged use, it supports custom headphones, and it has a social screen feature that splits the signal onto the main TV. This will allow the user to show people what they are playing through an undistorted mirror image. It will also allow for asymmetric gameplay, which means the person watching the TV while you play can mess with you by manipulating the game world. To close out the talk before the starting a Q&A session, video images on the stage screen showed a title called The Deep from Sony London Studio, Eve: Valkyrie, Thief, one called The Castle from SCE where the player uses Move for a weapon, and others. During the Q&A, Sony said at present the dev kit has a 5-meter wire but the team is looking at wireless solution. The tech was “coming out as soon as possible,” and the release focus will be on PS4. 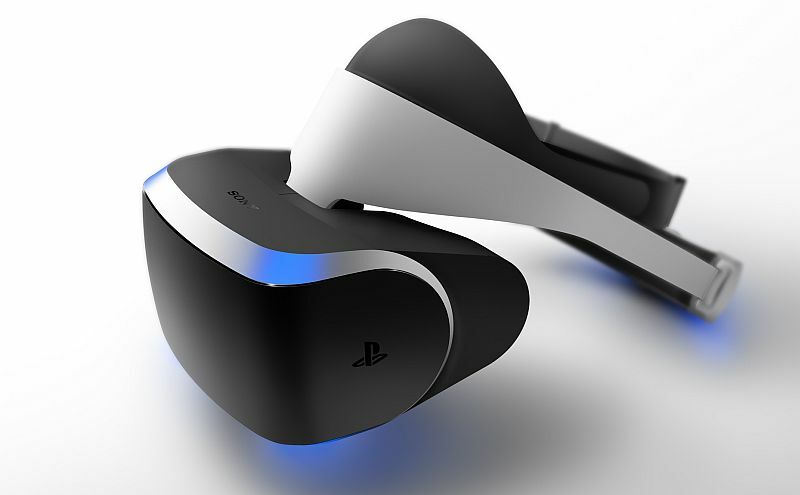 Sony would not say when or if Project Morpheus would work on PC or not; however, compatibility with Vita is a possibility should the headset ever go wireless. Live blogs of the session used for this report were hosted on Engadget and Eurogamer. Both did an amazing job of it too.